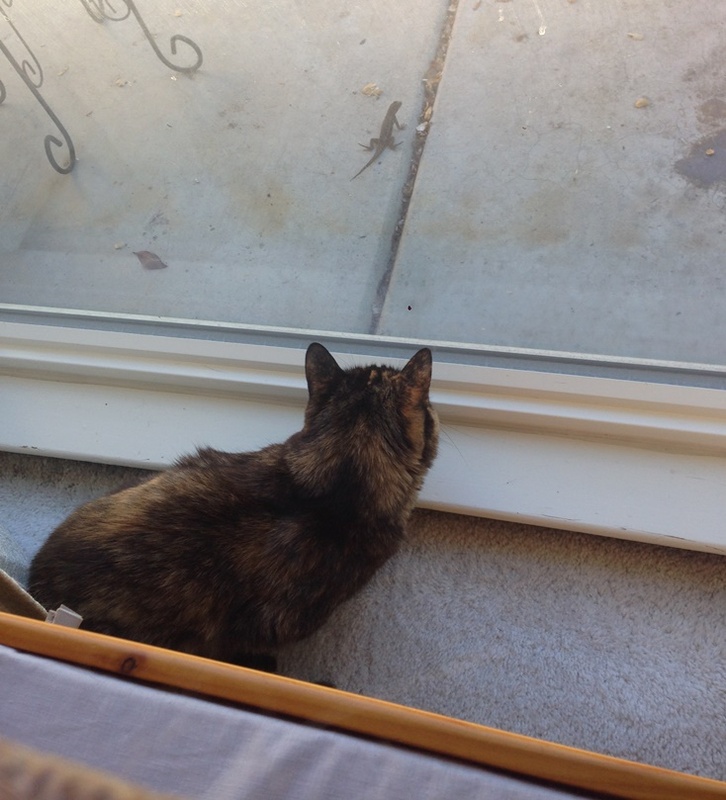 I believe that the lizards in our yard are fascinated by the cats. I think they come to the windows to visit with them. One day there was one on the screen hanging on checking out the cats. They come over to the window and just stare at them. The cats “ick” at them. They range anywhere from two inches to 7 inches long. The majority I see are in the middle of that range. I think they are fascinating. Here is a picture of Nessa looking at one for today’s Friday Photo. He stayed at the window for quite some time.